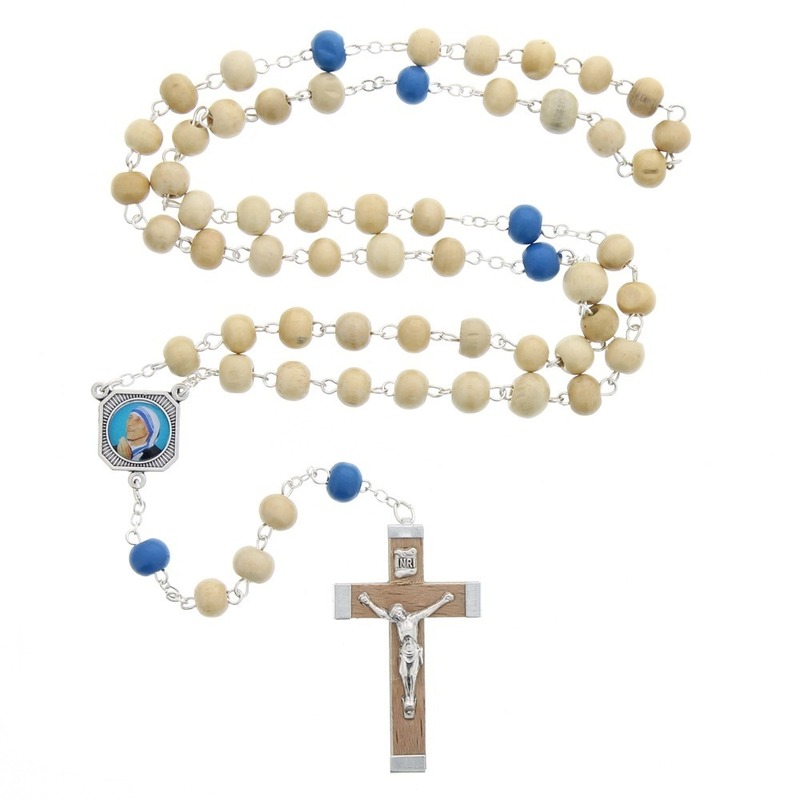 This basic rosary is constructed with durable cording in place of metal links. Lightweight wood beads and blue Our Father beads surround the center design which features a Mother Teresa photo center. The cross is adorned with a simple small silver corpus. It’s always nice to have an “extra” rosary to keep in your purse, car, or by your bedside table.